Our flashing kits are constructed from light, but durable grey painted aluminium. No matter if you are using a flat or profiled roofing material Duratech has a kit to suit. Extremely easy to install our kits flashings provide perfect water tightness and will work in any pitch between 15°-90°. Duratech coupled flashing kits are available if windows are required to be joined together horizontally to form a combination of windows. For those living in conservation areas, and using Duratech conservation windows; black painted flashings are also available. Flashings are available to suit all tiles, slates and Felt installations. 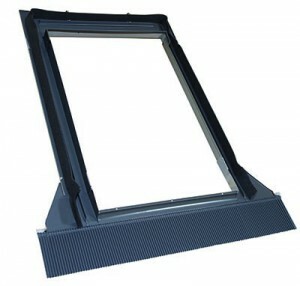 If you would like windows together then coupled flashings are available. Duratech flashings are lead free making them light and deterring theft.